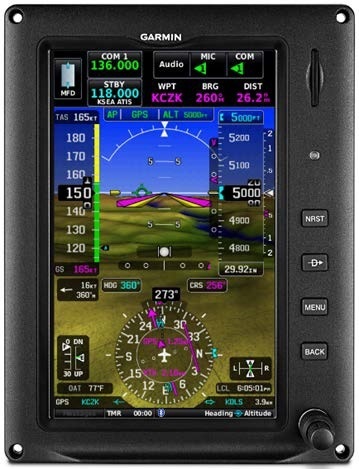 Garmin introduces G3X Touch 7″ Portrait Display | Avionics Blog – Avionics to the Max! Maxcraft is thrilled to announce a new addition to the Garmin G3X Touch family – the 7″ G3X Touch portrait display! Pilots now have three display formats that can be selected. First generation G3X customers, the new 7″ portrait display offers an easy upgrade path as the existing footprint is easily adaptable to the new display and includes most of the same great features as the popular G3X touch 10.6″ and 7″ display. the new GMU 11 magnetometer also allows for more flexible and cost effective installation options for experimental amateur built and light sport aircraft. Call or email our Maxcraft team for more information about the G3X Touch! This entry was posted in Uncategorized and tagged 7" display, ADS-B, aircraft, airplane, avionic system upgrades, avionics facility, Canada, cockpit, display, efis, EIS, Flight Instruments, G3X Touch, garmin, glass cockpit systems, GPS, Helicopter, Maxcraft Avionics, MFD, PFD, pilots, portrait, SiriusXM, tcas, VHF radios. Bookmark the permalink.